Start today! Set your child up for success! Read aloud to your child from the very earliest years until well after he or she can read. Read anywhere and often, at least EVERY DAY. 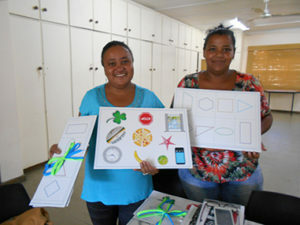 RCL FOODS, Barrows and Innovation Edge have partnered to print quality early learning resources for Worcester ECD centres, SmartStart playgroups and home visiting programmes. These materials help children to learn the foundational skills for literacy, maths, science and technology through play. Play is the way children learn! The teacher’s role is to create an exciting, active play environment that provides many varied learning opportunities for the little ones. Then she facilitates and extends their learning through interesting discussions and open-ended questions that stimulate young children to think.